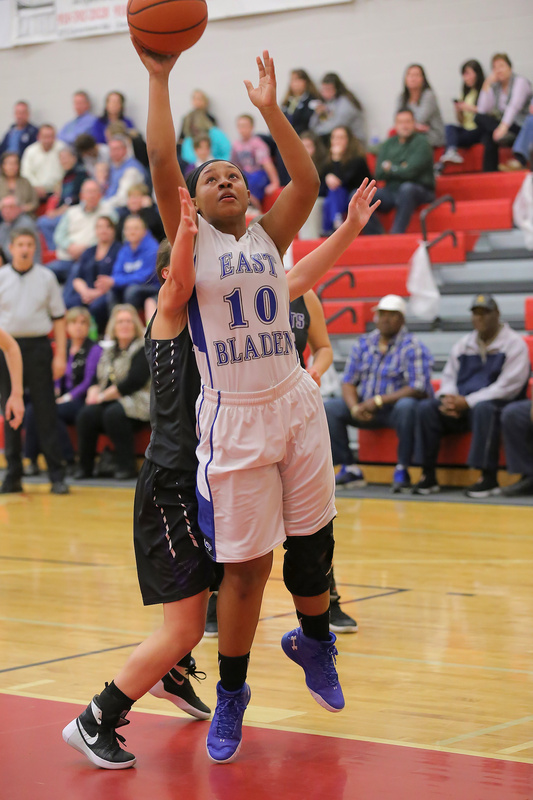 Senior Lacey Suggs reached the 2,000 point milestone, and East Bladen’s Lady Eagles advanced to the Four County Conference Tournament championship game with a 61-25 girls basketball victory over West Bladen Wednesday night at Union High School. Suggs drove down the lane for a lay-up with 5:24 left in the second period to reach the 2,000-point plateau. 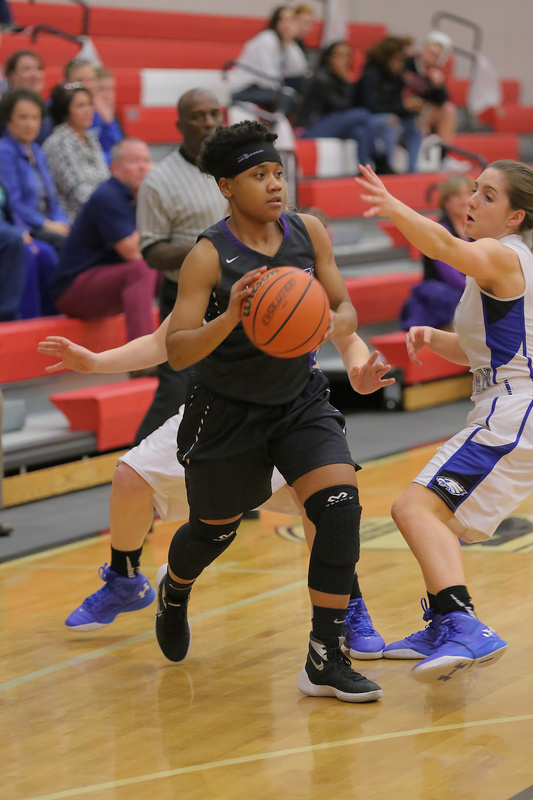 That lay-up gave Suggs 14 points in the game, and she finished with a game-high 27 points. 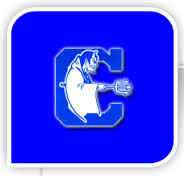 East Bladen remains unbeaten at 26-0 and will play the Clinton/Wallace-Rose Hill winner in Friday’s 6 p.m. title game. Suggs drilled a jumper from the key to start the game, turned a Christiana Cromartie feed into a lay-up, then drove for another lay-up and a 6-0 lead. Cromartie pumped in a 15-footer, senior Abby Ward stole the ball and raced for a lay-up, and Suggs hit a free throw to push the lead to 11-0. Freshman Ja’Tyra Moore-Peterson drained a corner jumper, and Ward sank 2 free throws for a 15-0 lead. 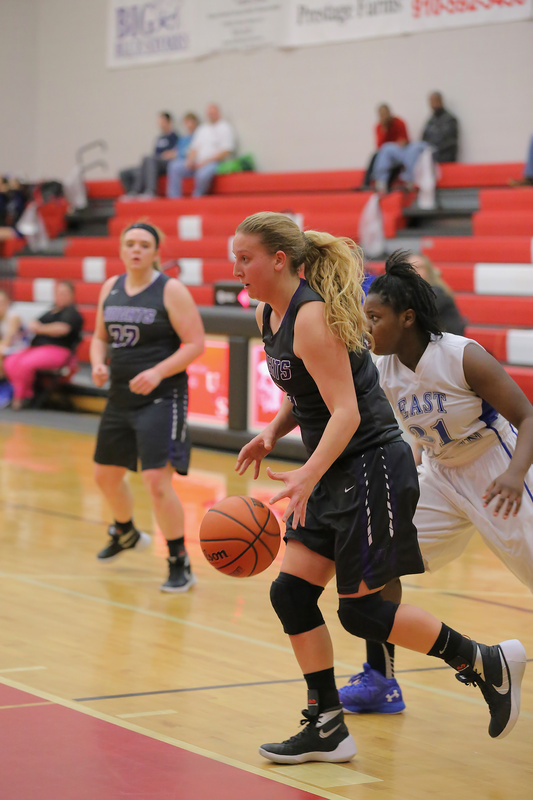 Sophmore Elizabeth Allbright powered in a rebound for the first West Bladen basket, but Suggs connected from 17 feet, Moore-Peterson buried a corner 3-ball then pitched ahead to Ward for a lay-up and a 22-2 East lead at the quarter break. 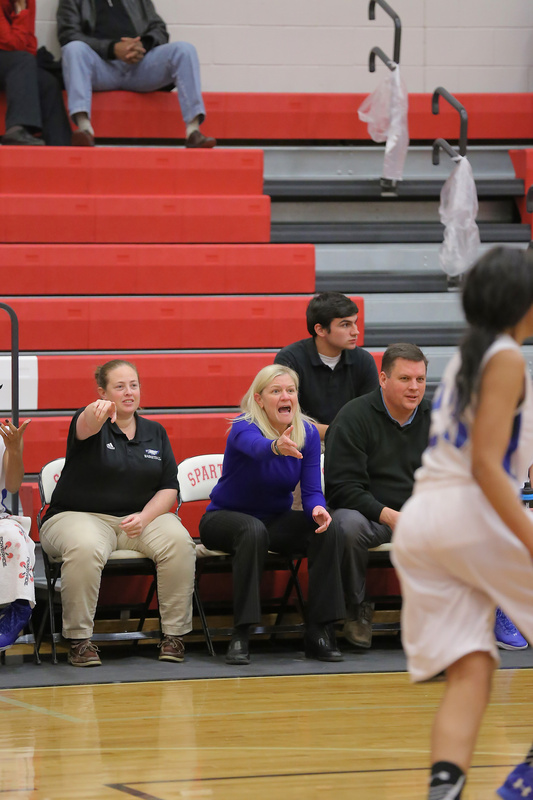 West Bladen junior Laikyn Pait canned a 14-footer, but Suggs bombed in a 3-pointer. Pait cashed in a free throw. Cromartie popped in a 15-footer, before Suggs drove the lane for the milestone lay-up. Cromartie turned a follow shot into a 3-point play and a 32-5 Lady Eagle lead. 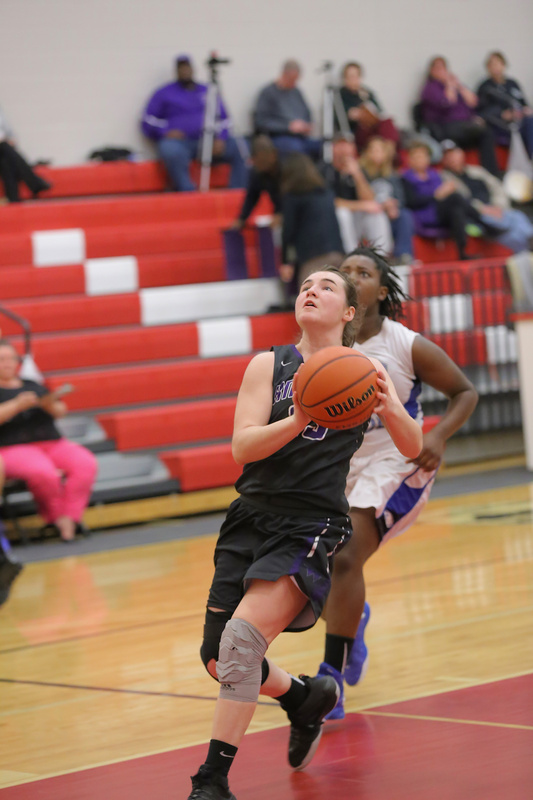 Pait made 4 straight free throws for West, but Suggs answered with 2 free throws of her own. Freshman Erika McKoy fired in a 15-footer to close the gap to 34-11. Suggs drove for a lay-up and a 3-point play that pushed the lead to 37-11. Logan Autry’s in-bounds pass produced a short-range basket for Pait, and Autry made 2 free throws to trim the East lead to 37-15 at halftime. Ward threw in a 16-footer from the key to begin the second half. Suggs stole the ball and raced for a lay-up, fired in a corner jumper then sent a pass to Cromartie for a lay-up. Another Suggs assist produced a 3-point play for Ward, and Ward knocked down a 3-point shot from the corner. Suggs hit from 15 feet to grow the lead to 53-15. Junior Akira Grimes made 2 free throws for West Bladen, before Moore-Peterson nailed a corner jumper. Suggs popped in a 12-footer that extended the lead to 57-17. Pait banked in a 6-footer to whittle the lead to 57-19 at the quarter break. 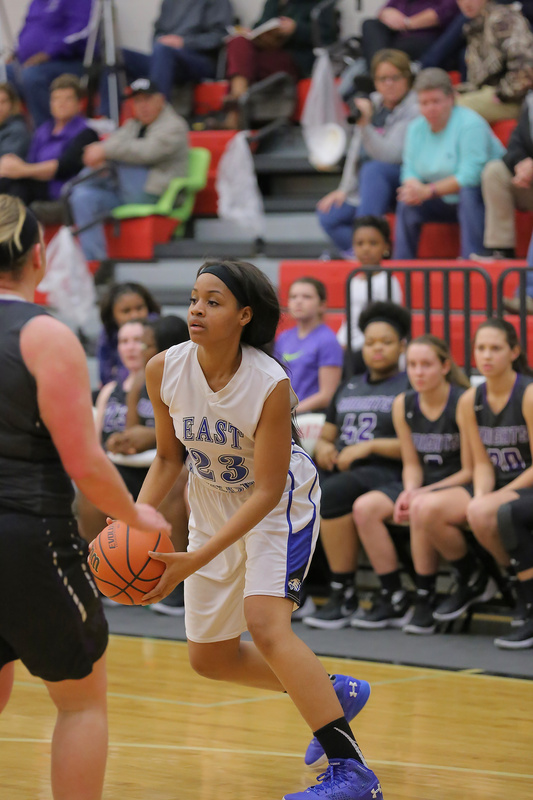 Sophmore Shardajah Brown began the final period with a 17-foot jumper and later hit 2 free throws for the final East Bladen points. McKoy flipped in a runner, Pait found the mark from 16 feet and Allbright muscled in a follow shot for the final West points. 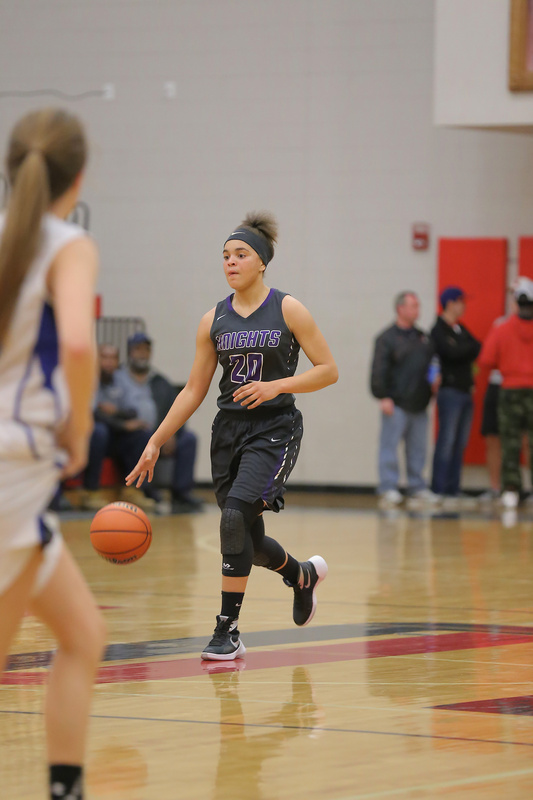 Suggs dished out 7 assists and had 5 steals. Ward racked up 14 points, 6 assists and 3 steals. Cromartie added 9 points, 3 rebounds, 3 blocked shots and 3 steals. Moore-Peterson totaled 7 points, 3 rebounds, 3 steals and 2 assists. 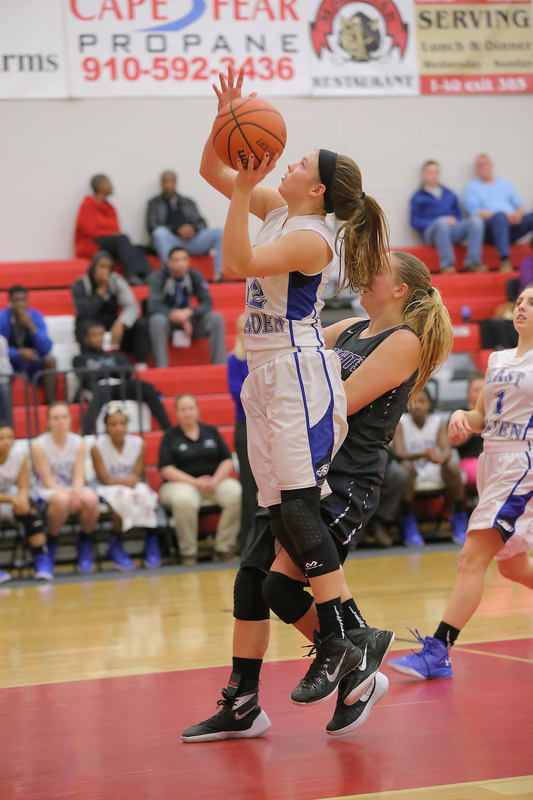 Junior Emily Scott grabbed 6 rebounds and had 2 steals, and Brown pulled down 4 rebounds. 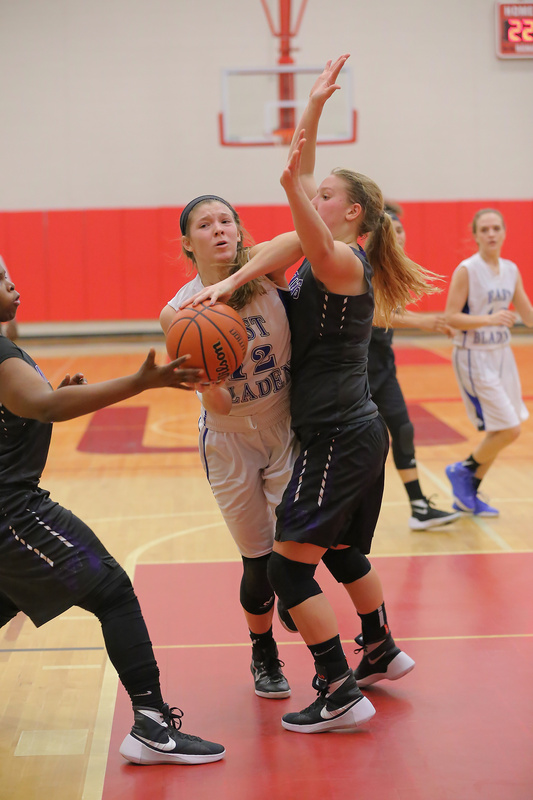 Pait led the Lady Knight scoring with 13 points. Allbright finished with 4 points and 4 rebounds. 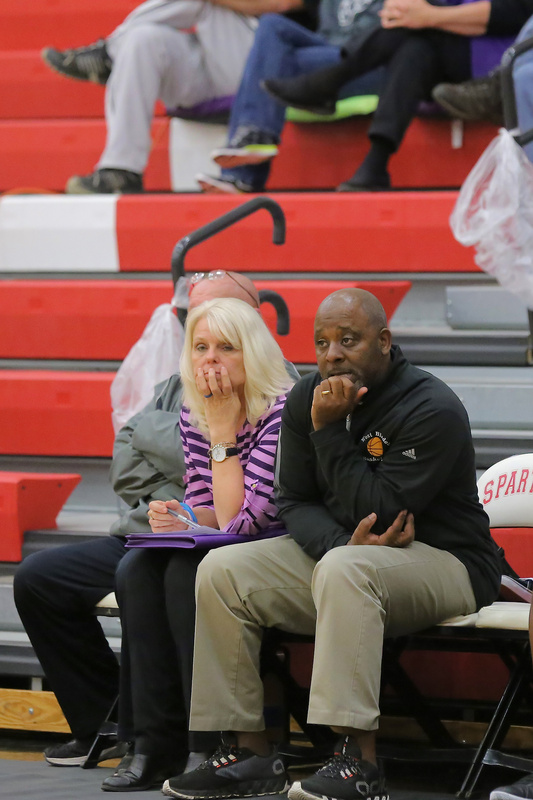 McKoy also tallied 4 points, and Grimes pulled down a team-high 5 rebounds. West Bladen closed out their season with an 8-17 record. West Bladen (25) – Alanna Ludlum, Kaylee Stevens, Erika McKoy 4, Patience Parker, Kassidy Anderson, Logan Autry 2, Laikyn Pait 13, Jenna Dove, Elizabeth Allbright 4, Akira Grimes 2, Jerena Purdie, Conner Brisson, Nhykila Richardson. 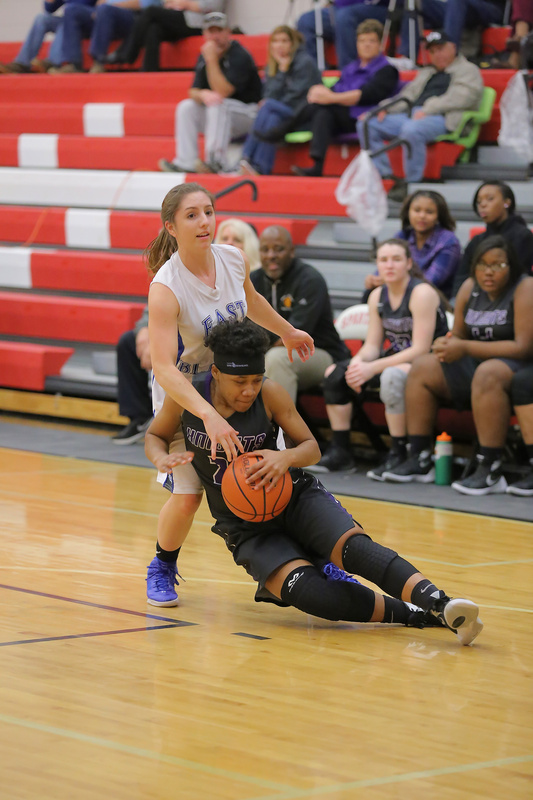 East Bladen (61) – Abby Ward 14, Lexie Mendell, Michelle Page, Shardajah Brown 4, Emily Scott, Lacey Suggs 27, Miller Heustess, Danielle McDowell, Christiana Cromartie 9, Ashley Hardin, Ja’Tyra Moore-Peterson 7.